To ride safely at night, it is imperative to have a reliable set of lights. Bike lights are a must-have whether you are commuting from work or caught in a storm when mountain biking. While most people rely on the front and back light combinations to see and be seen on the road, these bike lights do not offer ample side on visibility to other road users. Luckily, we have other cool and modern bike lights that offer you 360 degrees visibility while riding your bike at night. 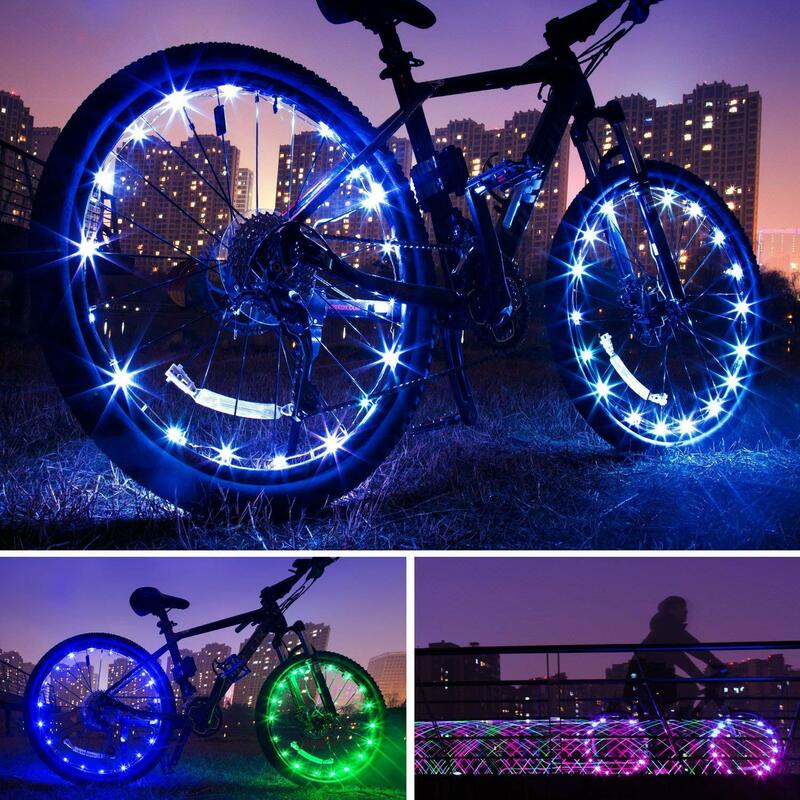 These are the bike wheel lights. 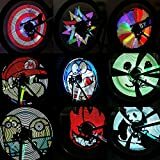 The best Bike wheel lights will ensure that you are visible by other road users from all angles and still adding a modern touch and shine to your bike. 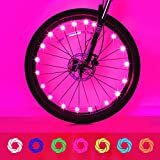 These lights are often mounted to the bike’s spokes, valves, or hubs to create a colorful effect that ensures that you ride in style. The main advantage of these bike wheel lights is closer to the ground mounting, which enables the rider to see the obstacles and imperfections on the ground clearly. They also produce more light ensuring better visibility to other road users. Additionally, these lights are customizable to bring an effect that you want, for instance, if you want to be more noticeable you can switch to the flashing mode. Since this is a new concept, it can be hard for most people to narrow down their choice. 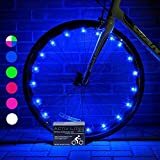 With that being said, we have rounded up the best bike wheel lights that ensure that you are safe and visible while riding your bike, especially at night. Designed to cover almost the entire circumference Bike ’s wheel, Honche premium LED bicycle lights are personal favorites for teenagers and professional riders all over the world. These lights come in six different colors that allow both men and women to choose their preferred colors. Besides offering super bright light that ensures your safety in low light conditions, these lights also enable you to display your unique style and fun. Boasting of a generous size, these wheel lights are also customizable to fit bikes with wheel size ranging from 12-29 inches. Installing is super easy as it comes with detailed instruction on how to install the lights and no tools are needed. What’s more, these cool lights are available at an affordable price making them a great choice for those working with a tight budget. The Evaduol Bike Wheel Lights are necessary to have for individuals looking to keep themselves safer during night bike riding. These are bright lights that illuminate the surface you are riding on from 360 degrees ensuring that you are visible to all road users from all direction even in bad weather conditions. The lights will also illuminate the path allowing you to see where you are going. Featuring nine color modes, customizing your bike has never been easy. You can choose from the steady or flashing modes, to fit your needs. Another plus that comes with this model is that it fits most bikes. It comes with a versatile design that is customizable to fit 12 to 29-inch wheels with standard spokes. 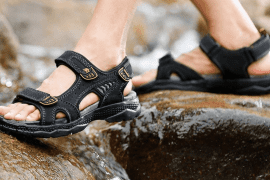 Similarly, we love the high-level waterproof design that allows you to use even in rainy conditions. The lights have a seven-foot-long decorative light that consists of energy efficient LED bulbs. Besides, unlike other models, this is one of the few models that come with a rechargeable battery. Are you looking to have the coolest bike in your neighborhood that will leave your friend with envy? Or, you want to enhance your kid’s safety when riding at night? The CYCPLUS bicycle wheel lights will give your bike a new exciting look while still ensuring 360 degrees visibility when riding at night. 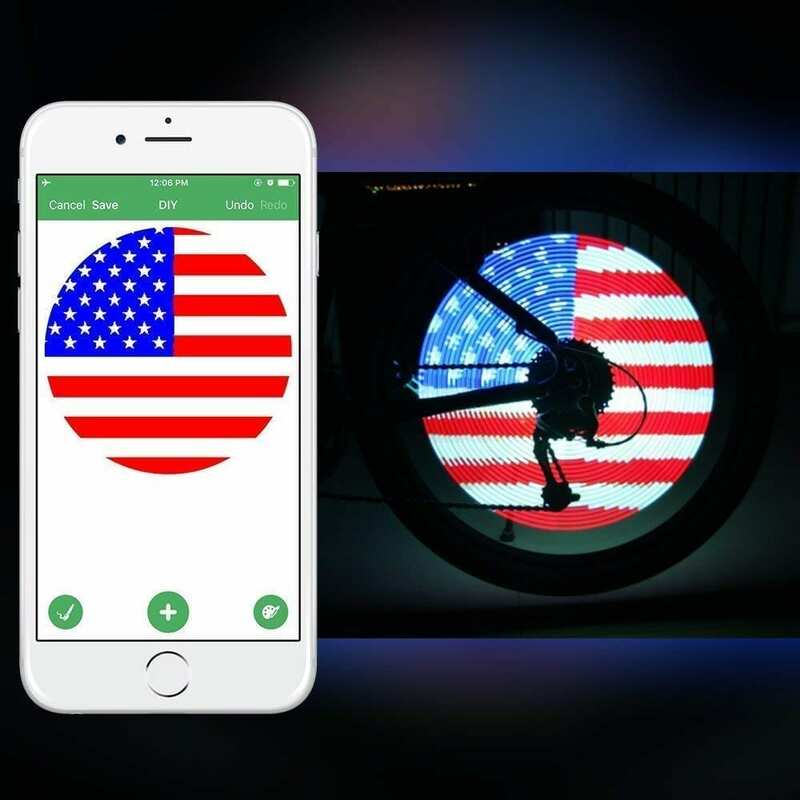 Different from other models on the market, these are app programmable lights that transform your bike into a colorful screen. Designed with innovative technology, these lights are connected to the app through Bluetooth, and the app is supported by the iPhone and Android phones. We also love the fact that the lights will display clear pictures at lower speeds of 8-60Km/H. Another major selling point is that unlike basic models that contain 20 LED lights, the CYCPLUS consist of 192 ultras bright LED and four LED bars that not only ensure exciting patterns but also brighter light for increased visibility. Apart from having simple installation, these lights are compatible with 24 inches and above the bike wheel. 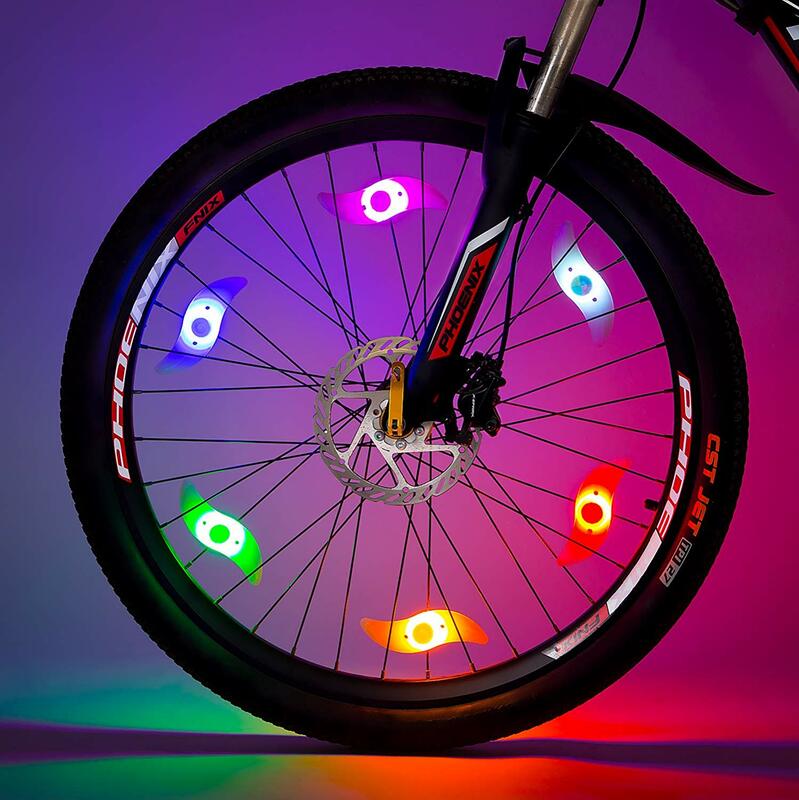 For a stylish, eye-catching and modern design, go for the MAGINOVO LED bike wheel lights. These bikes are not only beautiful but also very functional. They make a great Christmas gift for your friends and family especially those who love riding their bikes at night. Featuring all-round lighting and waterproof design, your safety is enhanced when riding on roads even in bad weather. 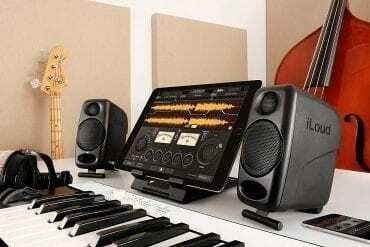 Moreover, these light are available in various colors, allowing you to select a model that will meet your needs best. Again, these LED bulbs are also energy efficient, so you don’t have to worry about replacing the battery every now and them. Finally, we love its customizable size that accommodates most bikes with standard rims. 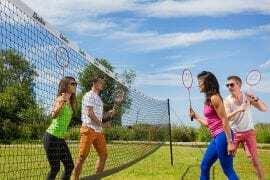 From time immemorial, DAWAY brand has been focused on the production of high-end outdoor sports products for cyclists. 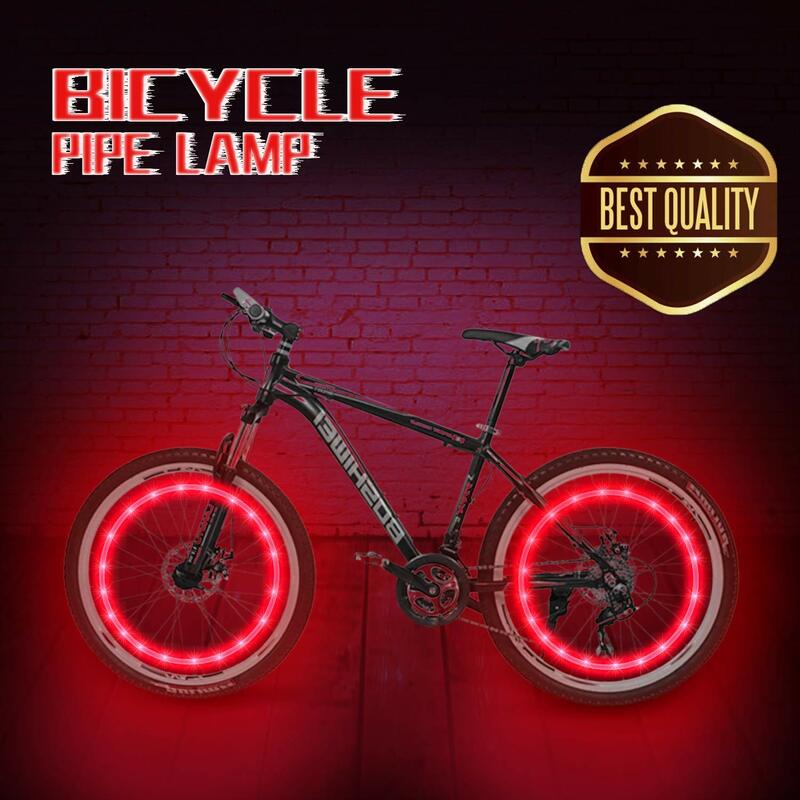 Similar to other products from this manufacturer, it has left no stone unturned when it came to the production of these bike wheel lights. They feature a cool bright light with various patterns making it an excellent choice for night riding. Each light has 14 RGB LED bulbs that are seen from all direction and flashes eight colors with 30 different patterns that change after every 4 seconds. 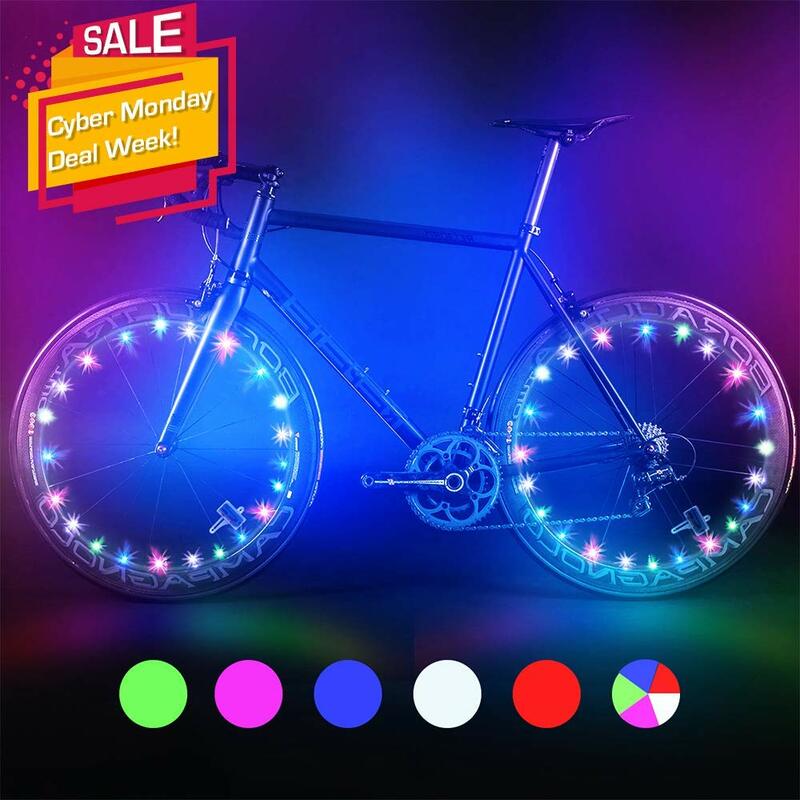 Light up your Bicycle wheels with these premium lights from WillCeal. 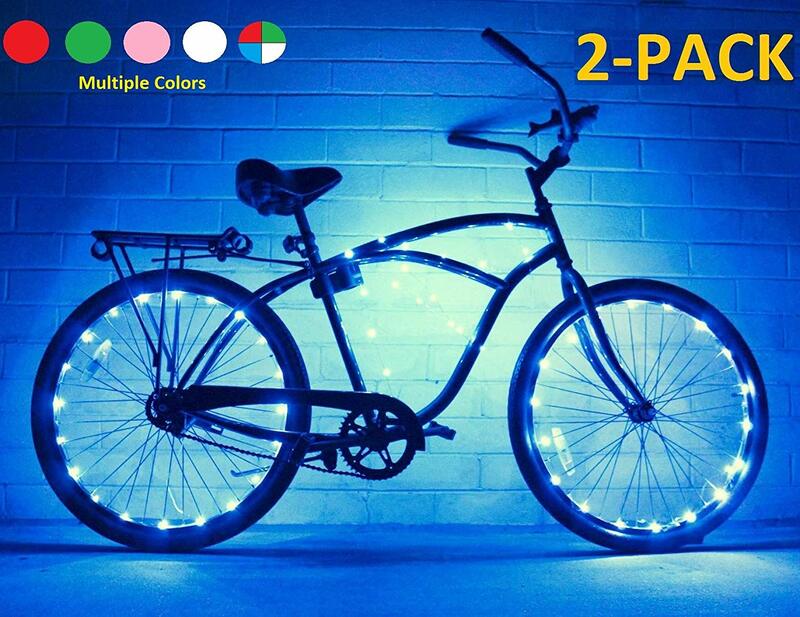 Featuring a unique design, these are not the string LEDs but six-piece lights that you attach to the bike spokes. They are large and lights on both sides, providing better illumination. Since the light from all sides, you will also be visible from all sides by other bike users. These lights not only enhance your safety when riding at night but also show your unique style and fun. Coming back to its design, these are probably the best buy for any bike. Since they are attached individually, you can use them on any bike regardless of their size. This is not all, the lights come in different colors including pink, red, blue, green, multicolor, orange and white. 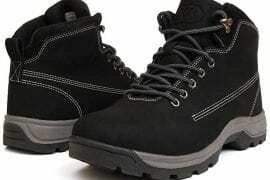 They also come in an advanced design that ensures secure fit regardless of the terrain you are riding on. 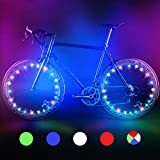 Colorful and bright LED lights, these bike accessories from Glow riders create a charming luminous effect that helps you stay seen on the road at night. Besides providing you with added safety and visibility, these lights also add some glow and shine to your bike giving it an awesome look. This colorful light is powered by long-lasting replaceable batteries so you don’t have to worry about the maintenance costs. The lights use 20 Micro LEDs that are fitted on a seven feet string that is wrapped around your bike’s spokes. 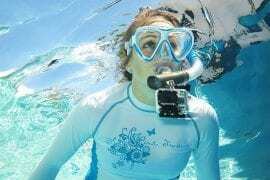 It comes in six different colors namely Red, Green, White, Blue, Multicolor and Pink. At a closer look, we were impressed to find that this was a two pack, making it one of the cheapest models on the market. 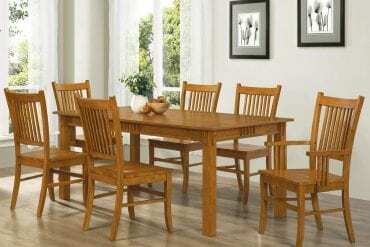 Similarly, the assembly is a breeze without any tools needed. Christmas is around the corner, and this is the time to shine if you are looking to impress your friends and family. With this light, you can switch from the ordinary front, back bike lights, get something that adds zeal, and shine to your bike. Featuring bright and cool colors, these light not only make your bike exceptional but also ensure that you are visible from all directions when riding at night. This is a good bargain as it is a two-pack bundle. This means that you will get two lights for the two wheels. Similar to other models we have mentioned here, these lights come with different colors and modes so customizing your bike are easy. Also, the lights are powered by a long-lasting battery and are waterproof allowing you to use them all four seasons. The Bodyguard Bike Wheel Lights will not only make other road users turn their heads but also increase your safety when riding at night. These lights emit high brightness for increased visibility from all direction. They also come with a smart mode that allows it to light up automatically when it senses low light. 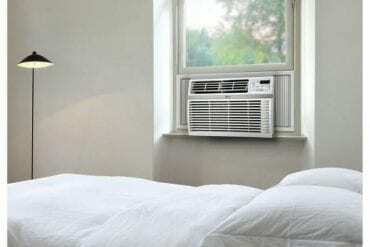 It also shuts the lights automatically when there is light, making it energy efficient. With lights, your bike will turn heads. You’ll not only have a safer ride, but you’ll also have the coolest bike on the block! High brightness lights gain increased visibility from all directions, keep your loved one or friends safer. 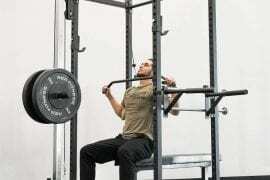 Installation is simple and fast and doesn’t require any installation tools. 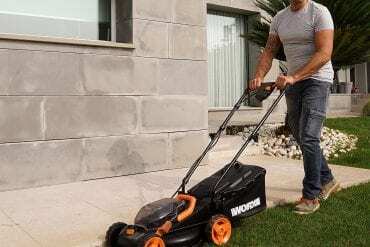 You only need a couple of minutes, and it best fit large wheels with 20 spokes, but it can also fit smaller wheels provided they have 20 spokes. In the same breath, these lights come with a lightweight compact and no interior impact. Also, with 360 degrees illumination, the user becomes more visible, improving their safety under all weather conditions. It is unfortunate that standard lights for bikes are only visible from back and front. This leaves the rider venerable from the side. It is time to step up your game and improve your safety by installing these LED wheel lights as they allow you to be seen from all angles. 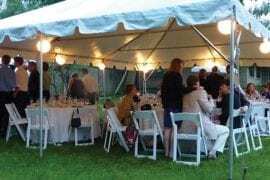 The cool lights will also make you stand out, and if you want to draw even more attention, you can do so by switching from the constant on to flashing mode. 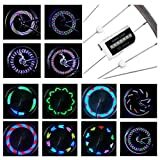 Different from other cheap imitations, these super cool LED lights also guarantees you the top quality, waterproof, and energy efficient. 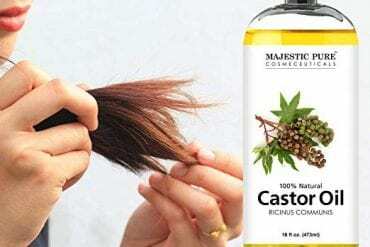 You will also benefit from the fast and easy installation. 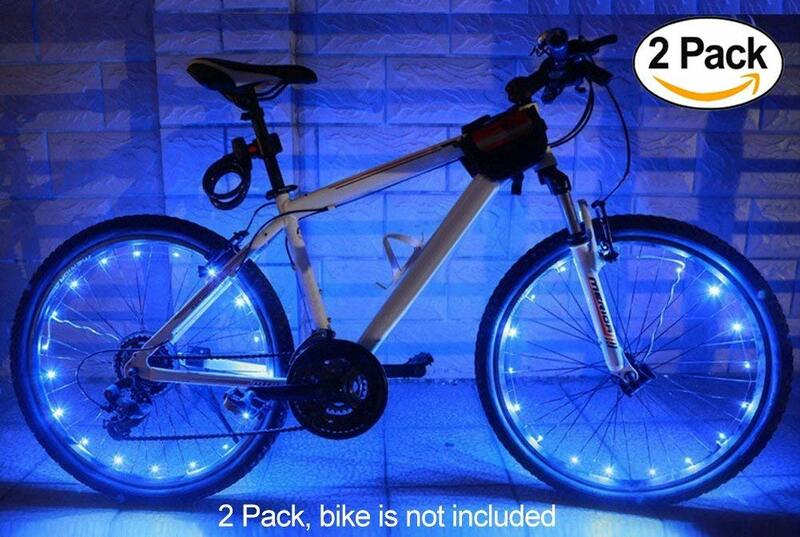 Plus, these lights are customizable to fit all bike sizes, and no tools are needed. 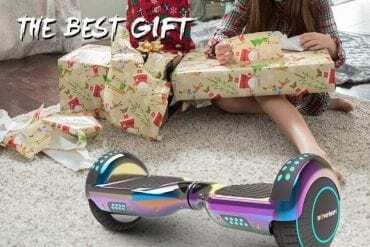 Above all, they come with batteries included so you simply need to fix the lights and you are ready to ride. Well, there you have it, the above ten lights are a great choice for anyone. To give you more insights into the best choice you can make, look at the following tip. Your bike’s wheel size: As with any other product, you should consider the size of your bike wheel before making your purchase. 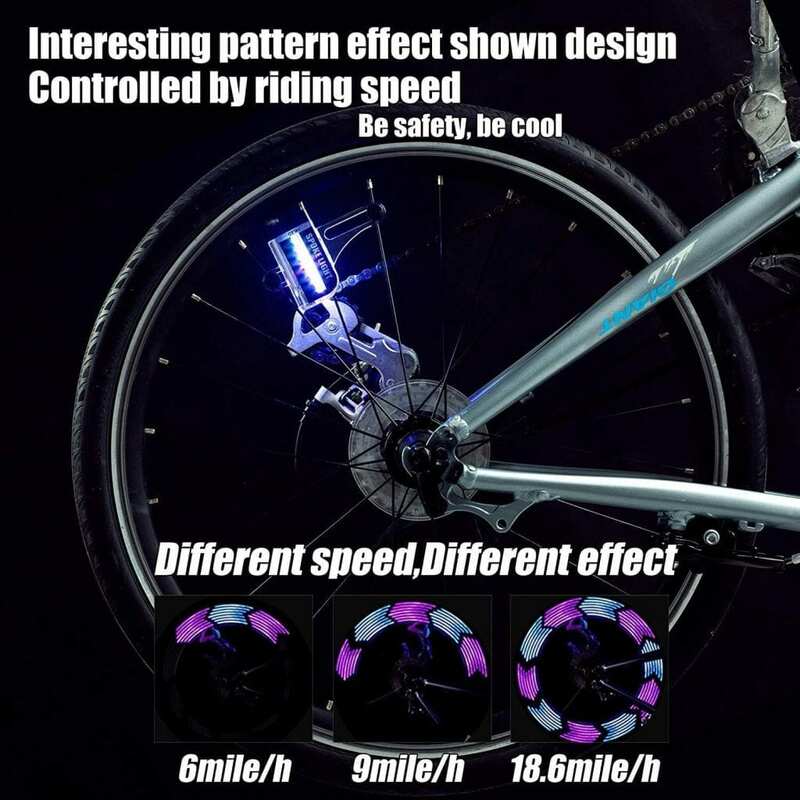 As you can see from the above product, some lights will only work with wheels with 20 spokes while others will work with 24-inch sizes and up. However, it is still possible to find customizable options that meet the needs of almost all bikes. Waterproof or not: Besides ensuring that the bike wheel lights are durable, you should also ensure that they are waterproof. Waterproof lights will enable you to ride even when it is raining ensuring that you are visible from all angles even in bad weather. 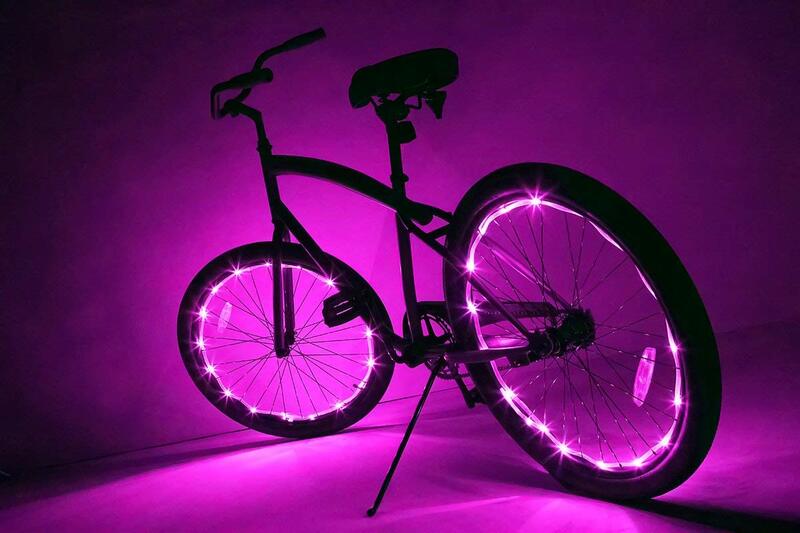 Energy efficiency: We recommend going for LED bike wheel lights. These lights are not only brighter but also energy efficiency making them more viable than other types of light. 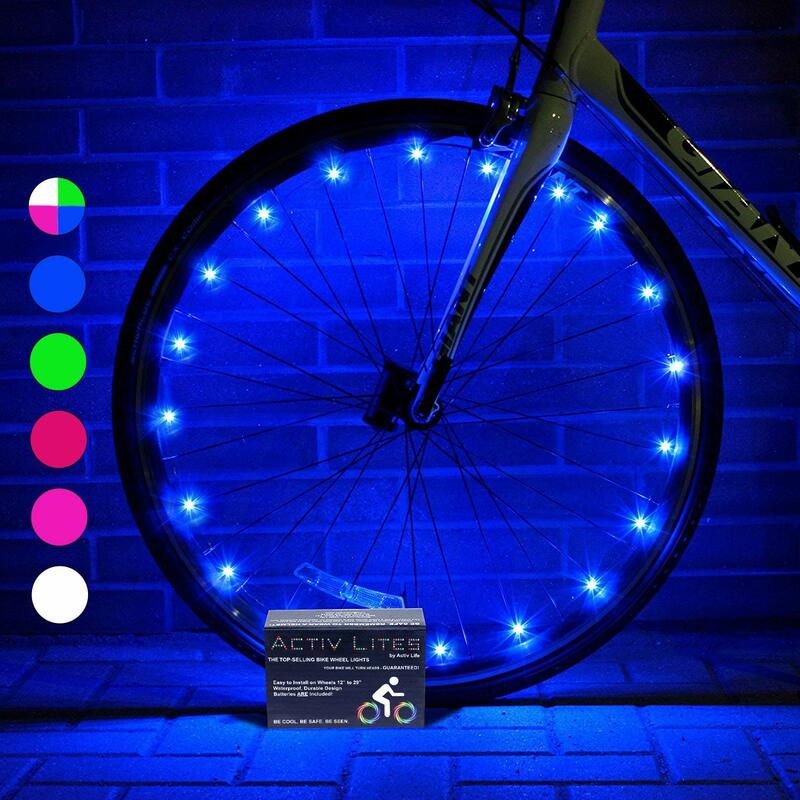 Battery: These bike wheel lights are powered batteries. Some are powered by rechargeable batteries while other is powered by replaceable batteries. Both these batteries types have their own benefits and demerits. For instance, the rechargeable battery takes time to recharge and may die when in the middle on the road. 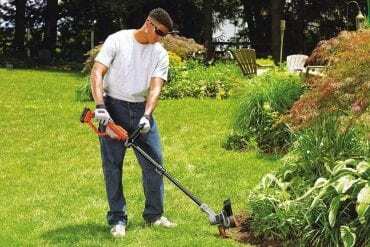 On the other hand, replaceable batteries are readily available but high on cost when it comes to maintenance. Regardless of whether you are looking to add some color to your bike or want to become more visible, the above best bike wheel lights are a perfect solution to ensure that you can be seen while riding out after dark. Make sure you have a clear picture of what you need and then select any of the above models that meet your needs. Best of luck!